THE MONKS were five beat playing American GIs stationed in Germany who, after their discharge, decided to stay and continue their musical mission. Meeting up with a team of local managers, they transformed themselves and their sound into a holy racket like the world had never known. This five-person order literally birthed the above genres through a fuzz-drenched evolution of sound, bursting with social commentary and future primitive rhythms. Their landmark studio album Black Monk Time is packaged with numerous period photographs (many unseen) and an extensive two-part essay by Canadian music journalist KEVIN HOWES (Jamaica-Toronto series), and includes bonus material. TRACKLISTING: 01. Monk Time 02. Shut Up 03. Boys Are Boys And Girls Are Choice 04. Higgle-dy - Piggle-dy 05. I Hate You 06. Oh, How To Do Now 07. Complication 08. We Do Wie Du 09. Drunken Maria 10. Blast Off! Yes, the legendary band the Monks, responsible for one of the most fabulous records of of 60s (Black Monk Time). This is a totally pro studio recording that preceeded the album. Here you can find earlier versions of most the album best songs. In this record we have also included two tracks of The Five Torquays (The Monks before changing names and shaving their heads), and one track of the Monks Tribute record Monk Hop by Jason Forrest. And a big booklet full of info! 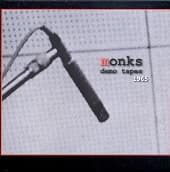 The Monks are a rock and roll band, primarily active in Germany in the mid to late sixties. They reunited in 1999 and have continued to play concerts, although no new studio recordings have been made. 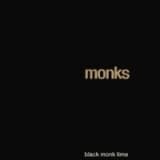 The Monks stood out from the music of the time, and have developed a cult following amongst many musicians and music fans. Artists to have acknowledged the Monks as an influence include Henry Rollins, the Beastie Boys and Jello Biafra of the Dead Kennedys, as well as The Fall. The latter covered both 'I Hate You' and 'Oh, How To Do Now' on their 1990 album Extricate (under the titles 'Black Monk Theme Part I' and 'Black Monk Theme Part II', respectively), as well as the song 'Shut Up!' on their 1994 album Middle Class Revolt. The Fall have also covered 'Higgledy-Piggledy' for a forthcoming Monks tribute CD.